of Love on cellular level. be in love with the entire existence. where we may ever witness the truth of our reality. O Bearer of Infinite Grace." - is with you, wheresoever you may be. 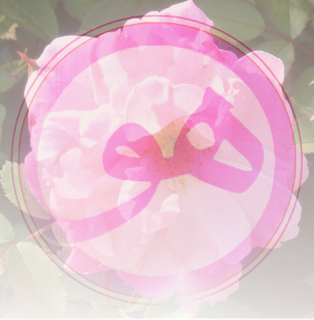 Wheresoever you turn, behold, there is the Divine Countenance! O, friend! Nobody veils you, but yourself. In your path there is no thorn or weed, but yourself. You asked: shall I reach the Beloved or not? Between you and the Beloved there is nobody, but yourself. 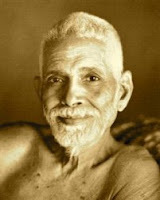 The 20th century great master and mysticsaint of this ancient lineage, Ramana Maharshi (1879-1950), may God be pleased with him, taught in great details on this theme. 'nahum' means 'not me', not the i.
ko-hum means 'who am I'? - the quintessential question of atma-vichara or self-investigation. sohum - I am the Oneness. The first sentence, ‘dehum nahum’ or ‘the body is not I’, denotes the initial process of self-analysis by which we gain the intellectual conviction that the body, mind and other adjuncts that we have superimposed upon ourself are not our essential self or ‘I’; the second sentence, ‘kohum?’ or ‘who am I?’, denotes the practice of atma-vichara or self-investigation, whereby we will actually experience what ‘I’ really is; and the third sentence, ‘sohum’ or ‘he is I’, denote the experience of true self-knowledge that we will gain by practicing atma-vichara (sufis call this muhasiban nafs or self-reckoning, which gives birth to suhud, witnessing). In the first two lines of this verse Sri Ramana explains the first sentence, ‘dehum nahum’, saying that the body is not ‘I’ because it is jada (non-conscious) like a clay pot, because it does not have any ‘shining’ (or consciousness of itself) as ‘I’, and because our nature (or essential being) is experienced by us daily in sleep, in which this body does not exist. In the last two lines he explains the last two sentences, ‘kohum? sohum’, saying that within the heart-cave of those who abide (as self), having known (by self-investigation) ‘who is this ego, the person who poses as I?’ (or) ‘where is he?’, the omnipresent God (arunagiri-siva-vibhu) will shine forth spontaneously as the sphurana (the clarity of pure self-consciousness) ‘he is I’. That is, when we investigate ‘who am I?’ we will experience the truth that ‘I’ is nothing other than the one omnipresent absolute reality, one without any second. "Who am I?" is the question only you can ask and only you can answer. Whatever you are, oneness, reality truth - the answer cannot be given readymade to you by the others, by teachers, by masters. Even if others have experienced this oneness, this truth, their words become a lie to you. Because the answer of this existential question: "Who am I?" is also existential, it is the experencing itself. Not the words of others about, but your own experiencing of the true answer. Unless you yourself have experienced who you really are, you will never know the truth, or better said, you will never be the truth. Your Real Face is covered by Your Dazzling Effulgence.